The results of the breath, blood or urine test will largely determine the charges brought and the possible sentences. 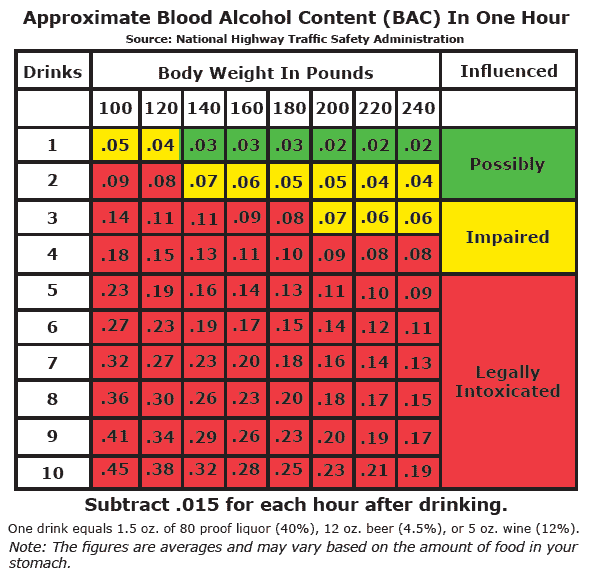 The so-called “per se” offense (driving over .08%) is defined by the blood-alcohol level; the “DWI” offense (driving while intoxicated) is partially proven with a rebuttable presumption of intoxication if the result is over .08%. It is important to realize that the DWI laws relate to the blood-alcohol level AT THE TIME OF DRIVING – not at the time of the test; there may be a significant difference, not to mention difficulties of proof. It is also important to understand that tests – particularly breath tests – are unreliable and susceptible to attack by an attorney who is knowledgable in the science of blood-alcohol analysis.